• Calculate and include your permit cost. • Does the city or county that you are working in require a license for you to work in their jurisdiction? • Is a forklift needed to move the switchgear from the (job site) drop-off point to the electrical room? • Is core drilling required for conduit penetrations thru concrete walls or floors? • Is drug testing a requirement for personal that you have working on the job? • Is scaffolding or man lifts required? 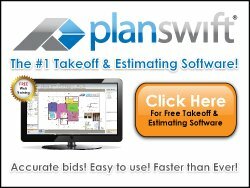 Calculate your direct job expenses, as much as possible, in advance of the final bid time. Below is a list of common direct job expenses you may see in most jobs. Make sure that you include ALL DJE so you do not have to go “out of pocket” for them. Make sure that you include ALL DJE so your customer pays for them and they do not become "out of pocket” expenses for you.